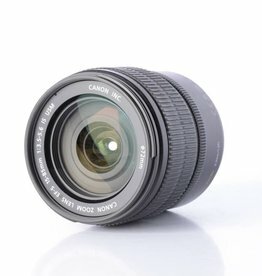 Used Canon 15-85mm f/3.5-5.6 EF-S image stabilized zoom lens for Canon cropped sensor cameras. Canon 28-80mm f/3.5-5.6 EF zoom lens for Canon full frame and cropped sensor cameras. Used Canon 18-55mm f/3.5-5.6 image stabilized EF-S zoom lens for Canon cropped sensor cameras.